From a two-time National Book Award finalist comes a riveting romantic drama about the gilded lives of the super-rich and the high price of fitting in. "This is a glittery gem of a book. I was utterly transported to Fire Island--to endless summer days, girls in sundresses, that rush you get the first time you fall hard in love. I fell so hard in love with this book." -Jenny Han, New York Times bestselling author of To All the Boys I've Loved Before It's the summer of 1976 on Fire Island, where feathered hair and the Bicentennial celebration reign. Jean, a sometimes cruel, often insecure, and always envious rich girl, is accustomed to living in her glamorous older sister's shadow. So when Gil Burke, a handsome newcomer with uncertain ties to one of the most powerful families in the exclusive enclave of Sunken Haven, notices Jean-not her sister-Jean is smitten. Then Fritz, a girl from outside the gilded gates who humiliated Jean in the Island's tennis championship last year, falls for Gil herself. Soon the girls are competing for much more than a tennis trophy, with higher stakes than either of them can imagine. 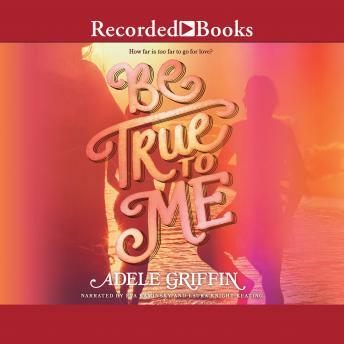 Through the alternating perspectives of Jean and Fritz, Adele Griffin captures the angst of feeling like you don't belong and the urgency of first love with masterly prose and a sharp wit perfect for fans of E. Lockhart's We Were Liars.